Time of the year again. Food, scrumptious food, sinful food, and more food. But if your child is an active participant in sports, you know how much important balanced nutrition diet for your child can be and you cannot take chances. Undoing the damage of an imbalanced diet is definitely going to be more time and energy consuming than keeping a check. To begin with keep a check on fat consumption. It’s natural to crave for Holiday food, just have enough to satiate your craving. Keep the portions in check, especially with desserts. Make sure you include greens, vegetables and fruits. Lean meat is also a good option. Including eggs alongside a whole wheat or multi-grain bread toast is a good idea. You can relish your pumpkin pies and stuffing, but eat in moderation. After eating, it is important to burn the fat you’ve consumed. After dinner go for a stroll or an easy ball game. Make sure you include an exercise regime every day. An early morning workout can be very beneficial, especially before and after the day of Thanksgiving. If your family is travelling on Thanksgiving, or you have elaborate plans with family coming over, workout regime and control on diet can become challenging. In many cities, Thanksgiving morning walks/runs are organized for people. This can be a fun way of keeping check on health. Find out if something like that is organized in your city too. You can encourage the whole family to be a part of it. It would be a good bonding activity for the whole family; the festivities can start early. 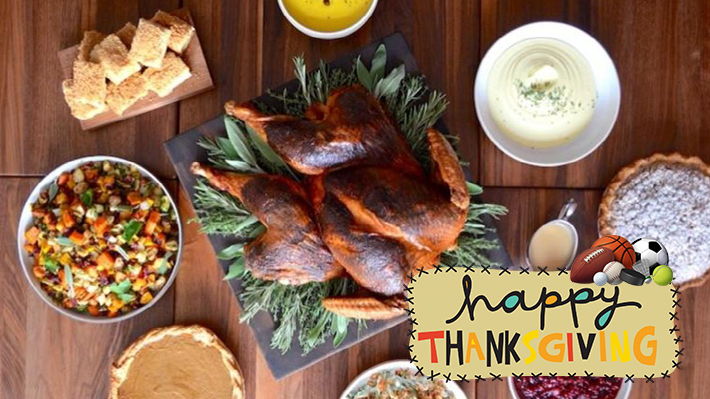 If there is no Thanksgiving walk in your city, create a fun activity for everyone to do. Organize a family game, or a little neighborhood marathon, or maybe an outdoor Yoga session. Everybody could use a workout with all that food extravaganza that comes with holidays. Last, and one of the most important things to keep in mind, stay hydrated. Drink liquids, lots of them. Water is the best way to stay hydrated, but if you have to take, prefer taking beverages without added sugar. Prefer natural sugars instead as in fruit juices (without added sugar) or fruit punches. The most important thing for Thanksgiving is to stay happy. Both body and mind should be rejuvenated during holidays, such that the coming season can have a great start. Stay happy and stay healthy. 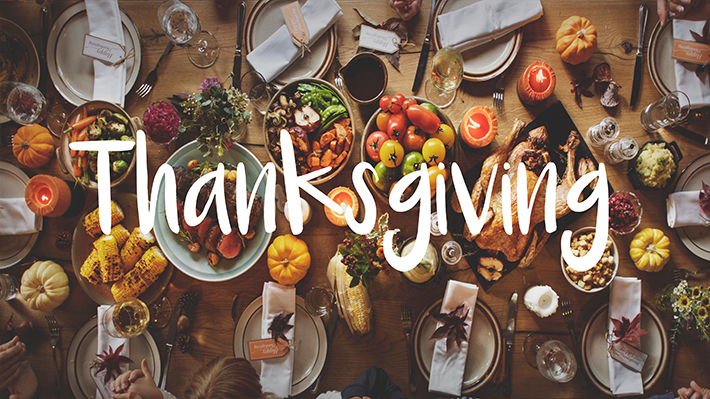 With Thanksgiving around the corner, my heart is oozing gratitude for all the blessings that bring joy and warmth to our lives. It’s not about just this time of the year. Every moment that brings a tiny giggle, or even half a smile, I secretly thank the Lord for it; but with Thanksgiving, I love the tradition of expressing it to all those who make it happen. While we are at it, I want to thank everything that revolves around my son’s sports-life, from school to coach to teammates to parents of other players and everybody else. As a mother of a young baseball player who is committed to the game, I know how much of an influence sports can have on a child. I am thankful to each and everyone who have contributed to enriching our sports experience. · For organizing and encouraging kids to play sports and have a healthy life style. · For providing a good facility to play sports. · For having a good coach on board. · For selecting my son in the school team. · For listening to us. · For working so hard on our kids to teach game-skills. 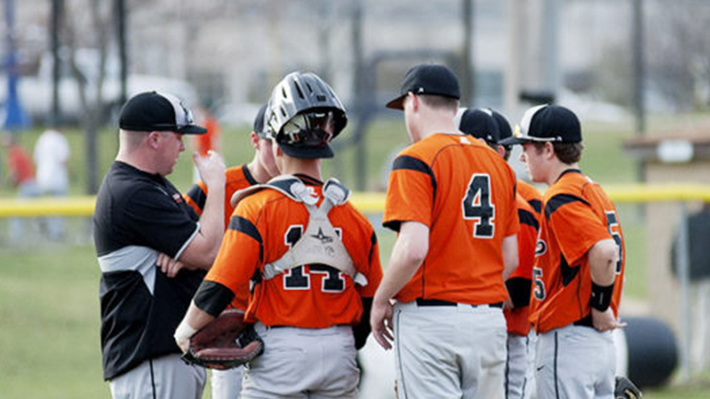 · For teaching kids not just the game, but values and discipline as well. · For being there; for games, practices and beyond. · For believing in the spirit of sport, not just in victory. · For appreciating the effort when the team loses. · For working diligently with each child, focusing on his strengths and weaknesses. · For believing in our children. · For making our kids believe in themselves. · For teaching our kids to lose gracefully. · For making our kids love the game, and enjoy it too. · For putting in efforts to keep the teamwork alive and in-action at all times. · For talking. Talking to parents about the game and everything around it. · For being such a wonderful team together. · For being so supportive of each other. · For bringing cheer in our lives with your cute little joys and vivid you-know-what-happened-in-the-game-today stories. · For taking care of your health and eating well. · For including us in your team picnic. · For being such a wonderful lot, we’re proud of. · For the car pool. 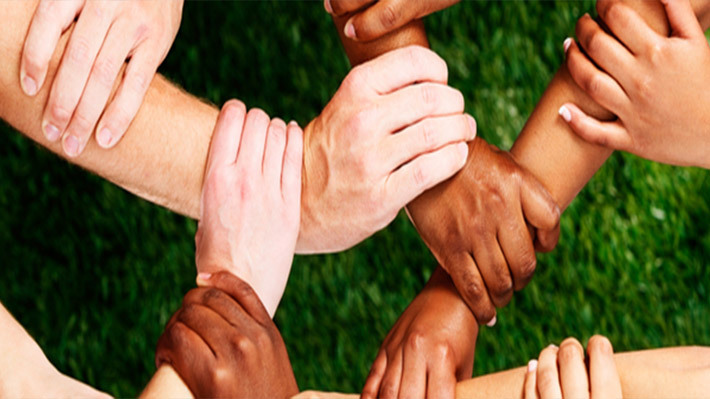 · For supporting all kids in the team. · For volunteering and helping out, even though I mostly can’t. · For helping my son when I am not around. Thank you everyone for making our sports experience so gratifying. Happy Thanksgiving! Youth sports have become more demanding than ever. The kind of time and resources that one needs to put in, it gets difficult managing other things around the house. Especially if you have a child at home who actively participates in sports, things get even more difficult. You have to manage your full-time job with the kid’s sport commitment, invest in all that expensive sports gear and save money for home needs. We haven’t even started about the college fund yet. We’re sure you are already doing your best at it. but just to make your life easier, here are a few tips that can help make your child’s sports experience richer while easing it all on you. · Don’t focus on winning, winning, winning. Let the child enjoy the game and the overall experience of playing. · Let the coach do his job, don’t try and meddle with the technique or strategy of the game. You will not only spoil it for your child and the team, but you will also upset the coach and damage the coach-team trust. · Support your child by being her no.1 fan when she wins, and when she loses, be sure to give her your silent support until she’s willing to talk about it. · Build a support system around with other parents wherein you could take turns with carpool, volunteering, being by the stands, etc. · Always look for used stuff for sports gear since children outgrow fast. You’ll be amazed to find how reasonable the used stuff can be, and most of it is as good as new. · If you have to, cut down on entertainment expenses. Find something fun to do around the house. · Do not get in-secure if your ex comes to the games or shows interest in the child’s sport, rather have them share some of the responsibility. Remember, set realistic expectations from child’s sports participation. Let the child make the most of the sports experience overall. Sports will help build strength, character, discipline and team spirit, which will all come in handy in the long run. According to a study by USA Today, only 1 in 6,000 high school football players goes pro, whereas in baseball the chances are 1 in 4,000 and in basketball the chances are 1 in 10,000 kids. If your child has that kind of exceptional talent and passion for the game it will show. Don’t burden the child with the aspiration of college scholarship as well. Various studies have suggested that most kids quit organized sports by the age of 13. So, all you must look for is a happy experience for the child; happiness has become extremely rare, especially with kids these days. Participating in youth sports is a great way of growing up. Each child should experience the joy and learning of sports at least once in life. The skill, confidence, discipline, nuances of co-existence and cooperation and all the virtues that the kid learns along with the physical exercise and healthy growth, all of this changes the child for life. If your child is starting her journey in youth sports, congratulations to you; this will mark a very important milestone in your kid’s life. 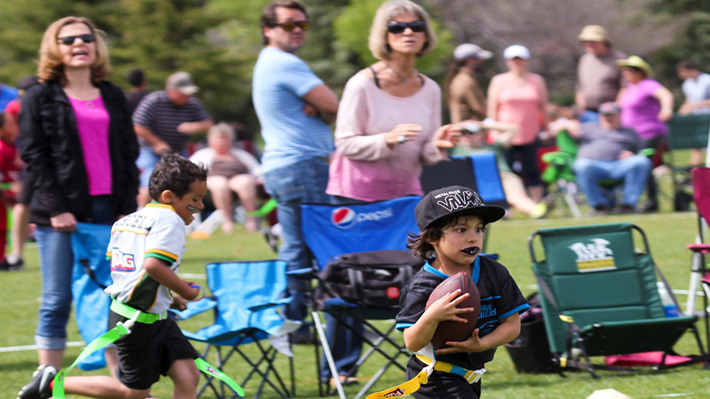 Here are a few pointers that will help you make the sports experience more enriching for the kid. · Look for a coach who is more concerned with the learning part of it, aka right technique (of the game) and the right values, more that the winning part of it (like win at any cost). The game does come first, so of course a coach needs to be proficient with the game, but alongside the coach, especially for youth sports, should be like a mentor or guardian on the field. Ask yourself – “Is he the kind of person who will teach my child essential life skills, character traits and values that the sports participation would provide exposure to?”. In all, your coach should value ethics more than athleticism. · Don’t choose a club that downright values sports glory more than sports spirit. Most clubs stay so focused on winning and glory that kids do not learn the art of graceful losing. This encourages negative aggression, which harms he child’s psychology, character and also the game itself. 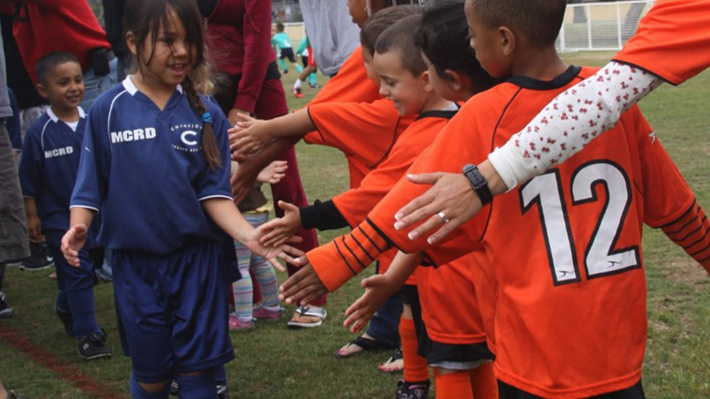 · Tell your child about the objectives and learning that you expect out of sports program. Tell your child how becoming a good person scores over winning each time, and how leaning certain character traits scores over the game skill. Tell your child how intangibles matter, values matter. If they can be better people, they can be better athletes as well, and not necessary vice versa. · Discourage your child to be aggressive or a bully, but at the same time, teach her to stand up for herself or against any wrong. Give her the confidence to share with you if there’s something unpleasant or something that upsets her. · Educate your child about good and bad touch.